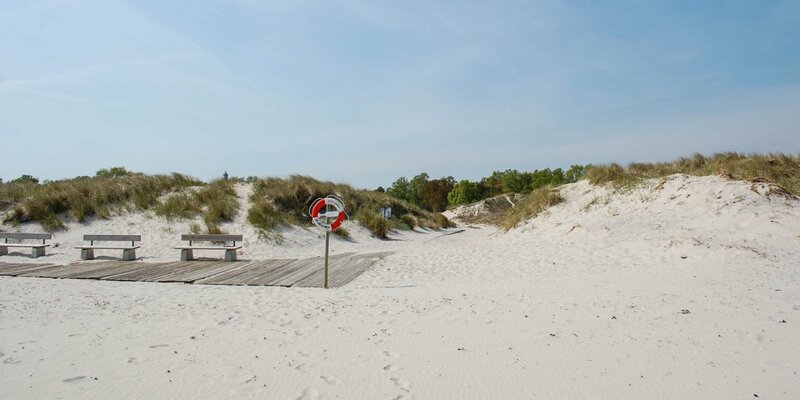 Ystads Sandskogs Strand is a beautiful white sand beach stretching from the eastern outskirts of Ystad over a distance of 4 kilometers eastward to the mouth of the small river Nybroån near Nybrostrand. 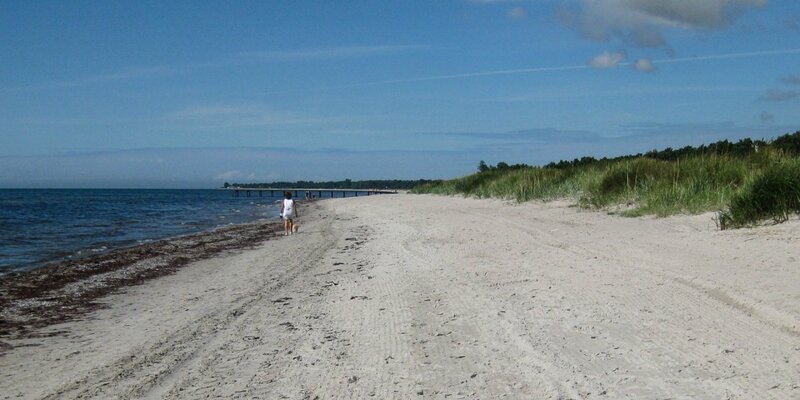 The western part of Ystads Sandskogs Strand is the most popular section of the beach, just on the outskirts of Ystad. There are five bathing bridges, one is equipped with a wheelchair ramp. 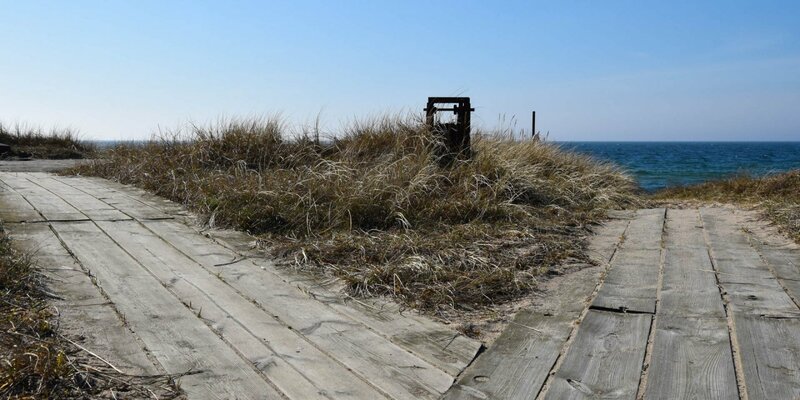 There are also several toilets in the course of this section of the beach, as well as restaurants, a cafe, a kiosk and a miniature golf course. 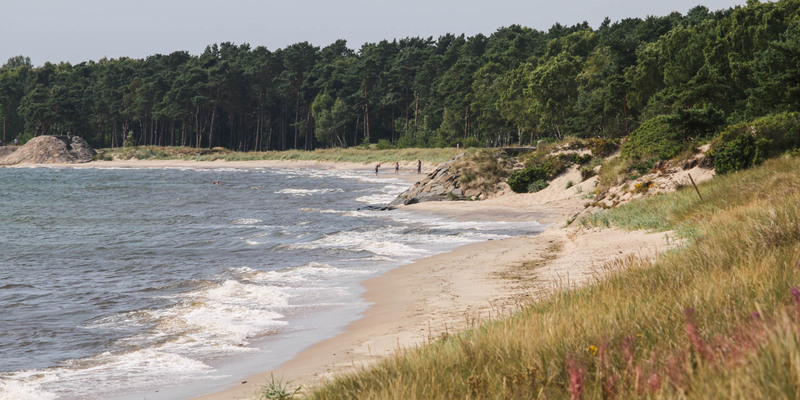 The beach is also part of the nature reserve Ystads Sandskog, where it is much less visited and offers enough space the the nearest beach neighbor even on warm summer days. The easternmost beach section, near the river mouth, is an official nudist beach.